Save the zipped archive to your computer. Now, extract the zipped archive on your computer. The 2 files extracted from the zip archive can be viewed and copied using a text editor such as Notepad on Windows. If you purchased a certificate type other than the Standard SSL Single Domain certificate, you may need to choose a different chain file than the gd_bundle.crt file used in this chapter. 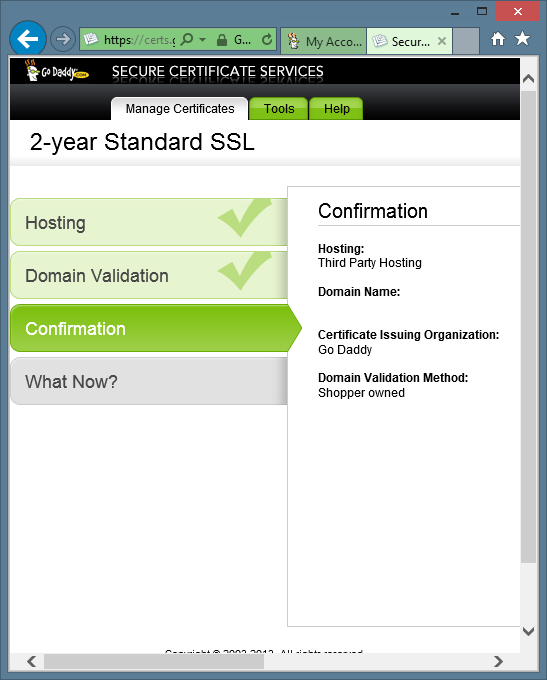 GoDaddy's certificate repository is located at https://certs.godaddy.com/anonymous/repository.pki. Using a text editor, copy the entire contents of your new signed GoDaddy certificate that you just downloaded from GoDaddy and extracted from the zip archive. Paste the contents into the pluto.example.com.crt file in your SSH terminal window. drwxr-x--- 2 ispconfig ispconfig 4096 May 22 22:50 .
drwxr-x--- 7 ispconfig ispconfig 4096 May 12 21:20 ..
We are now using the GoDaddy signed certificate for ISPConfig and our services. 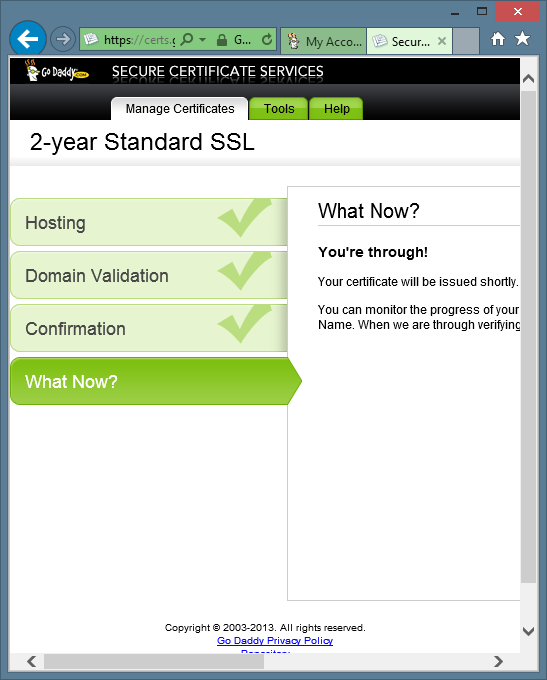 Since we have two sets of certificates, we can easily switch back and forth between using the self-signed certificate or the GoDaddy signed certificate. 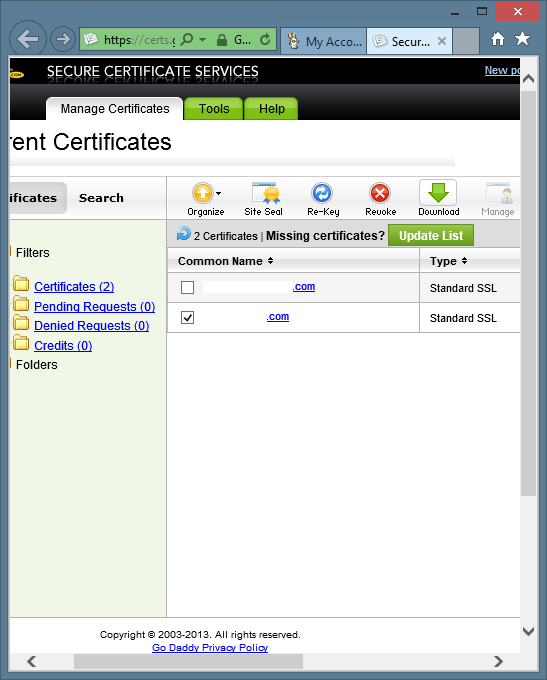 We can also create a brand new set of files for our self-signed certificate without affecting our GoDaddy signed certificate files.